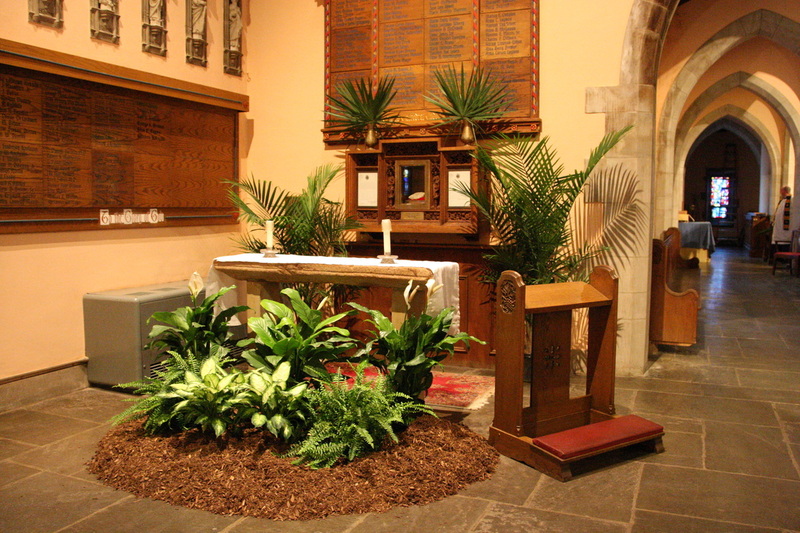 The Flower Guild provides flowers and plants for the altars of Trinity Cathedral. We thank our supporters for sponsoring altar flowers for various Sundays to commemorate birthdays, anniversaries, and the departed. Did you know that we rely on flower sponsorships to provide altar flowers for our Sunday worship? Parishioners who wish to honor their loved ones contribute funds to create the arrangements for either the Cathedral or All Saints’ Chapel altar. 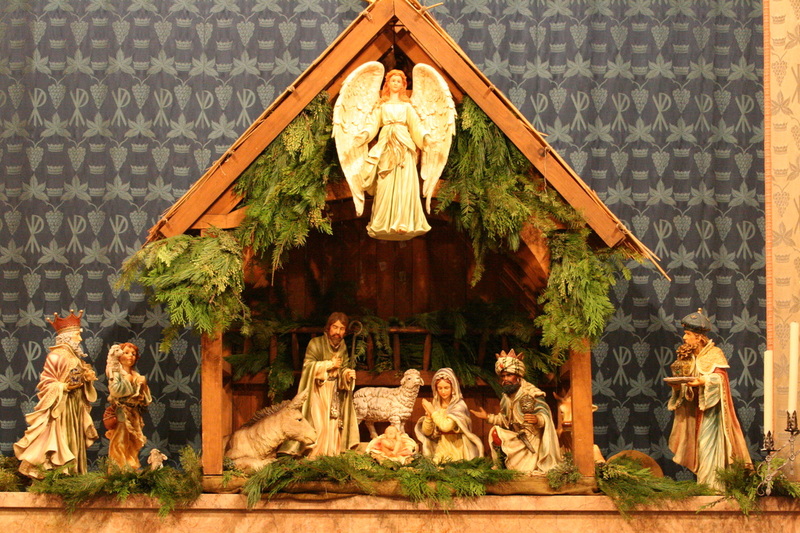 (Exceptions: Advent and Lent, when no flowers are present.) A special message can be placed here in the bulletin announcement sheet to tell everyone who you are remembering with your arrangement. There are posters in the back of the Chapel and on the “ship table” in the Cathedral where you can sign up to sponsor flowers; or, you can speak with Sue Remmers (Flower Guild Chair) or call Patrice in the Cathedral office. The Flower Guild was grateful to be able to create 34 floral arrangements to be taken to homebound and hospitalized parishioners last year, from flowers placed on our altars! The Flower Guild also supplies flowers and plants for funerals, special events and Diocesan-side services including Confirmations, Ordinations, annual meetings, Baccalaureate services, those honoring older adults, and in support of the Sudan/Darfur. Floral presentations are also created as gifts to thank special guests and dedicated friends. Seasonally, thanks to contributions from parishioners and friends, the Flower Guild manages the creation of the Easter Gardens, palms and Easter flowers, the Thanksgiving arrangement and the greening of the Cathedral for Christmas. Our dedicated band of decorators must be thanked for all their hard work producing the Easter Garden and Christmas greening. Please consider joining us as we work on these special projects that celebrate the various times in the church year – many hands make light work, and everyone has more fun, when we all join in! We welcome new volunteers who would like to try their hand at arranging (training will be enthusiastically provided!) and assistance from those who would like to help transport flowers and plants for various occasions.